NEW MUSIC PROFILE - ROCK BAND "FIREBUG"
FireBug are an exciting American Indie Rock band originally from Chicago. Their sound is unique, a little Pat Benatar, a little Garbage, a little Psychedelic, with some Goth and Blues overtones as well! This is the kind of band I love where you just can't categorise them into one genre. I originally reviewed this band a few years ago just after I heard the 2009 single "Dreaming Of America", The song epitomises the FireBug sound. You first think there is a Razorlight influence, then it begins to rock out 70s style and Juliette gives her best Pat Benatar before a Metal Rock ending! 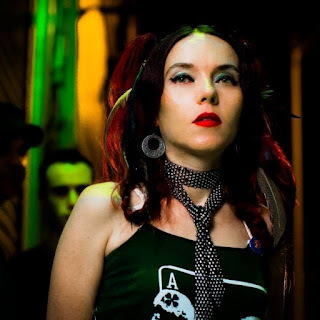 Since then the lineup has changed for live tours but the two mainstays are vocalist Juliette Tworsey (also on rhythm guitar and mandolin) and Jules Shapiro (lead and slide guitars and organ). 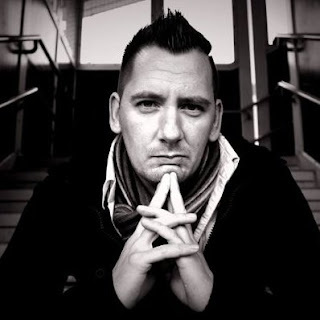 NEW MUSIC PROFILE - ALTERNATIVE SINGER/SONGWRITER "STEVE MORAN"
Steve Moran is an Alternative singer/songwriter using the spoken word and is a man with a message. Hailing from Manchester, this unassuming guy uses his songs to convey emotion, harsh truths and showing a way out of the darkness. He has been out of the limelight a while working on his debut album. Steve writes his songs based on his own experiences and the perils of everyday life that affect others. 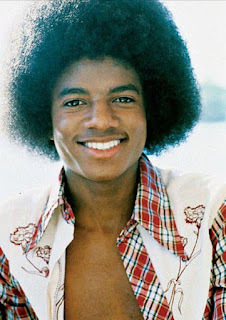 Although only releasing two singles to date, he has received wide acclaim from many countries and had airplay on MTV and the second single was a minor American chart hit. This guy is unique, the first single "Wasn't Meant To Be This Way" lyrically covers society problems of today while the video tells another story, it received emotive feedback by viewers and listeners alike. "What A Waste" covers alcoholism and real life dilemmas. Clearly the message he is sending is honest, provocative, positive and delivered with emotion. 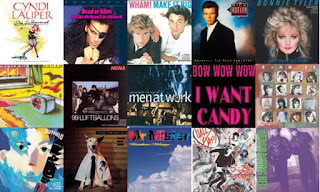 DEBATE ARTICLE - "80s VINYL VERSUS TODAY'S CD - WHICH DO YOU PREFER?" It's been argued time and time again, vinyl versus CD. There are pros and cons for both formats. As a buyer of both I can conduct the debate from my own personal experiences. You, as a reader, may disagree, different generations will say different things but these are my own conclusions. VINYL Be it the 7" single, the 12" multi-track versions, the 4 track E.P. or the album, the vinyl format was special. For the most part of the 80s vinyl's only opposition was the tape, or cassette. In reality, you could "record" your vinyl albums onto cassettes to be an ideal companion playing in your car or your portable tape recorder. Another advantage of the cassette was recording the Top 40 on Radio 1 in the UK on a Sunday night, desperately trying to pause when the DJ talked over the song! DEBATE ARTICLE - "FOOTBALLERS AND MUSIC - USUALLY A RED CARD OFFENCE?" As the new football season kicks off again I was wondering about both my passions, music and football. This prompted me to think of footballers who actually felt the need to combine both with their "talents". We all thought fondly of John Barnes' rap on New Order's "World In Motion" in 1990 and also "Anfield Rap (Red Machine In Full Effect)" by the Liverpool FC Cup Final team in 1988. Both were a success reaching number 1 and number 3 respectively on the UK charts. These songs however were rarities in their pop respectability as we will find out. Other soccer stars' fared less well. 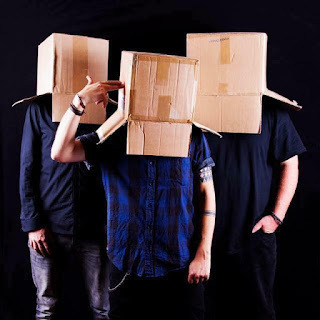 NEW MUSIC PROFILE - ALTERNATIVE ROCK BAND "CARDBOARD HIT"
Cardboard Hit are a three piece band consisting of Ross Towner, Lee Hayes and Matt Rouse. The band play an Alternative Rock but I also think there is an element of Punk in there as well. There are great unusual vocal harmonies coinciding with a pounding drums and powerful guitar riffs. The debut E.P. entitled "Subject To Status" was released last year. The songs "All The Voices" and "Say Yes" are brilliant rockers. The band have been compared to Muse or Queens Of The Stone Age, but to me they bring to mind a hybrid of Progressive Rock such as Led Zeppelin with a little Midnight Oil and Wall Of Voodoo thrown in for good measure! Formed in East Sussex, only Matt is from that area with Ross from North London and Lee from Cheshire. The three different backgrounds make three different characters, but also three friends who certainly rock together and are set for stardom, I will certainly be keeping my eye on this band. NEW MUSIC PROFILE - ROCK BAND "MOHAWK RADIO"
Mohawk Radio are a 4 piece Rock band from Manchester. 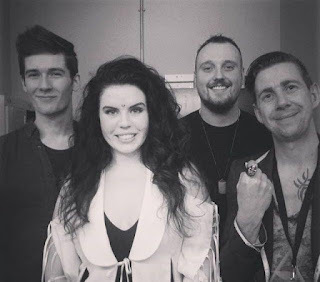 The line-up comprises of Mia Page, James Gregory, Conor Marsh and David Quinn and they play in an Alternative/Rock/Pop style. The powerful vocals of Mia are backed by dynamic guitars and drums. Already with tours in the USA under their belt and some famous fans including Ace from Skink Anansie the band are trailblazing their way on the Rock circuit. More Pat Benatar/Heart than Paramore, it is melodic, authentic anthemic Rock. The band won "Rock The House", beating thousands of bands across the UK. They also won PureFM's 2014 Stockport's Finest. Each member of the band has lived and breathed Rock music since an early age. Their unique sound brings back the real rock n' roll live band and have earned rave reviews and a blossoming fan base, as well as international radio and TV airplay. They released their third E.P. in 2917 entitled "Shoot From The Hip". CLASSIC ALBUM REVIEW - MICHAEL JACKSON - "OFF THE WALL"
Love him or hate him, Michael Jackson was a top performer, singer and dancer and he made memorable songs that the world will remember for a lifetime. I never really got into the Jackson Five or the solo stuff he used to make but "Off The Wall" took him to a new level. Before the tabloids got hold of him, the weird eccentricities that took hold, before the appearance changes and the sometimes annoying "ugh" vocal inflection before every line, (I know for a fact it grated on some people who couldn't see past this) and before the megastadom began with "Thriller" this was the album that put Michael on the map. THEME ARTICLE -"HOW MUSIC HELPS US FEAR WAR, GET THROUGH WAR AND REMEMBER WHY WAR IS POINTLESS"
War is a sensitive subject but war songs evoke feelings of inspiration, pride, fear, remembrance, confusion and hope. The headline echoes Edwin Starr’s 1970 anti-Vietnam hit War and most people’s feelings towards conflict. Culture Club released The War Song in 1984, although not their greatest song it stated, “War is stupid and people are stupid”. Maybe childish but a true statement? 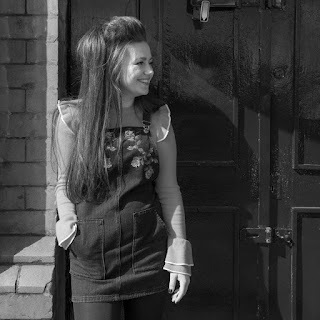 NEW MUSIC PROFILE - FOLK, COUNTRY AND BLUES ARTST "ELEANOR NELLY"
Eleanor Nelly is a young singer songwriter from Liverpool who has created a quiet little following around the town gigging regularly. Her influences are far and wide and include My Chemical Romance, The Hummingbirds, Slash, Billy Joel and Johnny Cash! Her sound is a mix of Folk, Country and Blues and is surely heading for big success. I first reviewed Eleanor in a mini review a few years ago after seeing her performing Acoustic tracks on BAY TV, a Liverpool based channel. Just her and her guitar oozing with confidence and such an accomplished performer. I did say at the time she reminded me of an Eva Cssidy/Alanis Morissette hybrid telling her songs in a unique way.